We live in an age of entitlement. People believe they are owed things by the government or others. Unfortunately, we live in an age where the government typically agrees with this attitude of entitlement. Regardless of the desires and convictions of anyone else, many people feel what they want is most important and with or without force, those services and goods must be provided to them. These people and the current government want to force everyone else to provide services even if those services violate the deeply held religious convictions of the ones providing. Many of these cases have involved gay rights verses religious rights. The current case awaiting a ruling at the Supreme Court involves abortifacient drugs. In March, the Supreme Court heard arguments in two cases: Sebelius v. Hobby Lobby Stores and Conestoga Wood Specialties Corp v. Sebelius. These cases focus on the HHS mandate portion of the Obamacare law. The HHS mandate requires all employers to supply insurance that covers all contraceptives approved by the FDA as well as sterilizations without a co-pay. Some religions such as the Catholic Church discourages sterilization and contraceptive use. Some FDA approved contraceptives, such as Plan B , are known as abortifacient drugs. One way Plan B works is to prevent an already fertilized egg from implanting by irritating the lining of the uterus. By not allowing a fertilized egg to implant, Plan B causes an early abortion. The Green family who owns Hobby Lobby and the Hahn family who owns Conestoga Wood contend that being the source of abortifacient drugs for their employees violates their religious beliefs. To appease religious employers and avoid lawsuits, the Obama administration offered nonprofits an “accommodation,” requiring the insurer to pay for the questionable drugs. Of course, that is simply an accounting gimmick. Employers still remain the legal gateway for their employees to obtain these drugs and Obamacare is still the gateway by which these employees are forced to supply them. By not offering strong religious exemptions, the HHS mandate is essentially another attack on religious freedom in America. 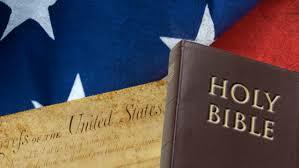 The first amendment began a Constitutional mandate resulting in a tradition of religious exemptions. These exemptions have always been offered and honored. Through the history of the United States, these exemptions have protected many religious people no matter their religion or sect. Quakers have not had to fight in wars. Muslims have not had to transport alcohol. During prohibition, Catholics and Jews were allowed to use wine for their religious rituals. In more recent times, doctors and nurses have not had to participate in assisted suicides, abortions, and prisoner executions. Pharmacists have not had to distribute abortifacient drugs. These exemptions have served America well. They have made it possible for many people of different faiths and beliefs to live peaceably under the laws together in one nation. The attitude of entitlement and entitlement laws such as the HHS mandate threatens this. In just a few more days, the Supreme Court will have a decision on these very important cases. Please pray for the justices to continue with the Constitutional mandate of religious freedom for all.